Welcome to Capital Ford Winnipeg! At Capital Ford Winnipeg, we have thought long and hard about what makes a great dealership. Rather than recycling what has been done before, we set out to create the kind of experience drivers and car buyers actually want. That is why so many drivers from Brandon, Portage la Prairie, Dauphin, Steinbach and beyond choose us as their dealership of choice. For the second consecutive year, we’ve been named Manitoba’s Ford and Lincoln Dealer of the Year by DealerRater.ca. DealerRater.ca has also awarded us Consumer Satisfaction Awards for three straight years. We do more, and we do it better. Our vehicle inventory includes the entire lineup of new Ford vehicles, from the iconic Mustang and the best-selling F-150 to the rugged Explorer. We also carry a number of pre-owned vehicles from many major automakers. These cars, trucks, and crossovers are easy on your budget but still look and drive like newer models. Once you’ve found a model you like, our financing team is here to make sure that you get approved for an auto loan. Our service centre is just as dependable when you need maintenance or repairs, and we’re also your source for official Ford parts and accessories you can’t find from other suppliers. When you work with us, you’re supporting a family-owned and operated business that does more to serve everyone. 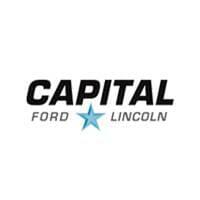 Take advantage of all that Capital Ford Winnipeg has to offer at 555 Empress Street here in Winnipeg.